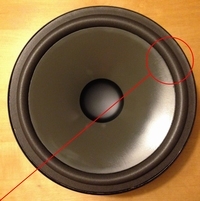 Two rings for woofers, two rings for mids. Glue not included. 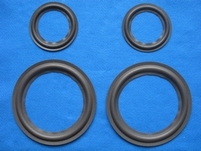 4 rings for woofers, 2 rings for mids. Glue not included. Four rings for woofers, two rings for mids. Glue not included. 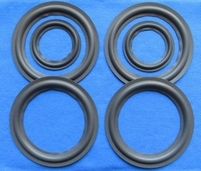 2 rings for woofers, 2 rings for mids. Glue not included. If desired, you can cut the circles for the screw holes by yourself. Beware! 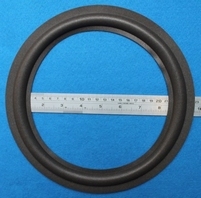 This is a 10 inch ring for the Infinitesimal Servo subwoofer. Beware! This is a 10 inch ring for the Kappa 7.1. The Kappa 7 uses a 12 inch ring! Beware! 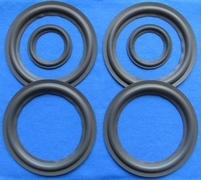 This is a 10 inch ring for the Kappa 7.1 II. The Kappa 7 uses a 12 inch ring! Beware! 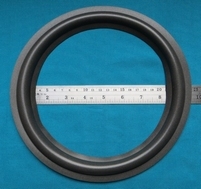 This is a 10 inch ring for the Kappa Super CS-1 subwoofer. 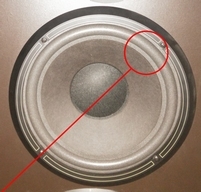 Special foamring to repair the 10" woofers from the reference 71 MKII speakers,. 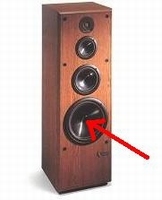 For the Infinity Reference Six woofer.